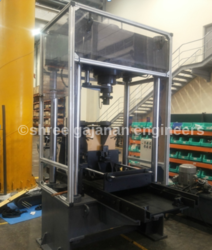 Prominent & Leading Manufacturer from Pune, we offer hydro pneumatic press, hydroneumatic press machine shifting, pilllar type hydraulic press machine and hydraulic press - c frame. 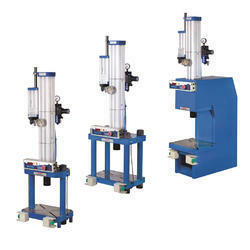 We are offering patrons a wide variety of Hydro-Pneumatic Press that are used for various industrial applications. 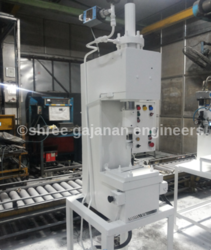 Our dexterous team of professionals make use of updated technology and modern tools to fabricate these pneumatic press. 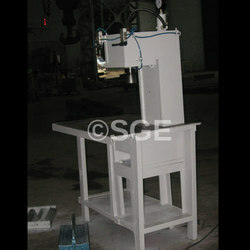 These machines are fabricated using quality approved raw material procured from reliable vendor-base. These are stringently testes for quality through various quality test ensuring qualitative outcome at customer's end. We are specialized in the field of Turnkey installation & commisioning,Industrial relocation, control system(electrical & mechanical),Piping engineering along with contract base maintenance service.